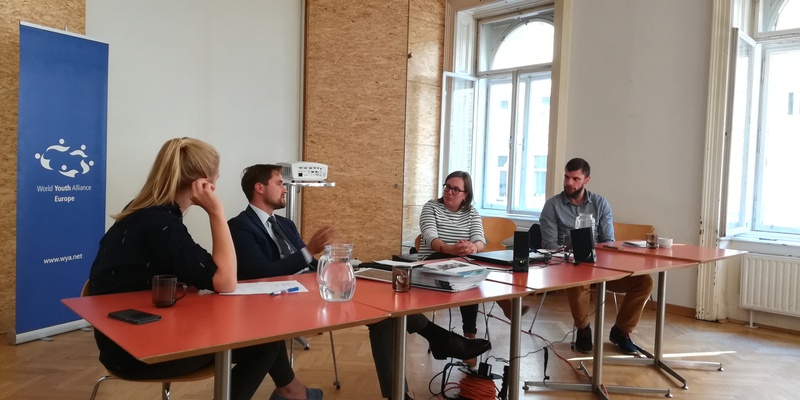 From September 26 to September 29, 2018, World Youth Alliance Europe collaborated with WYA Austria, Svjetski savez mladih Hrvatska (SSMH), and Alianza Mundial de la Juventud España (AMJE) to hold a training in Vienna on Media & Advocacy. The official title was MEET – European Media and Advocacy Academy and over 30 young World Youth Alliance Members from 6 different countries participated in the 3 day conference. 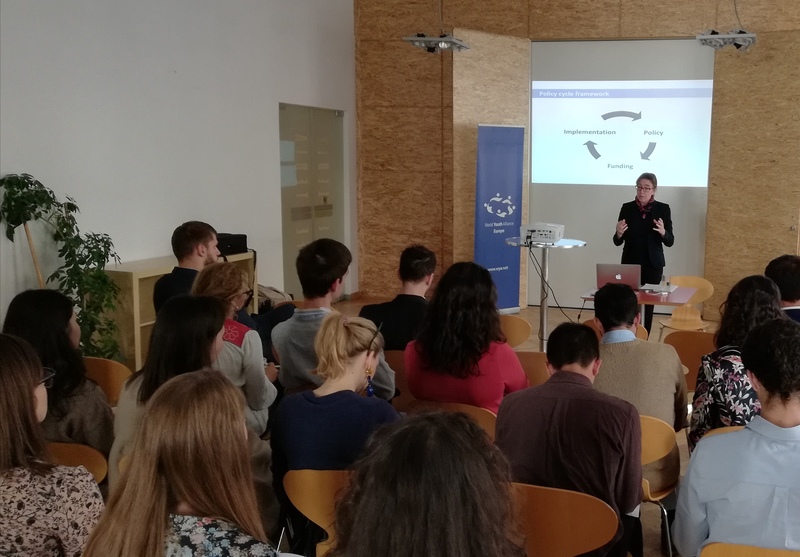 On the first day of the training, the participants had the rare opportunity to hear Anna Halpine, founder of the World Youth Alliance, speak about the Policy Cycle and WYA Advocacy and answer all the participants’ questions. During the four day conference, young people were able to participate in an intense media training with workshops on how to develop spokesperson skill and the confidence to be successful in debates in front of a camera or audience as well as effective Social Media use. Participants also partook in our Advocacy training, covering topics from an Introduction to International Law and Human Rights to Policy analysis and amendment writing. Thursday afternoon featured a panel discussion on Advocacy in Action – Sharing of Experiences and Best Practices with different expert representatives from various NGOs. These panelists included Anne Fleck from World Vision and Anna Gudenus representing Pro Femina. The participants also joined together for an intercultural dinner serving different drinks and meals from 6 different countries. On Friday, the program included a tour through the Viennese United Nations Headquarters and through the historical city of Vienna. This was the second big international event held in collaboration with WYA Austria this year.